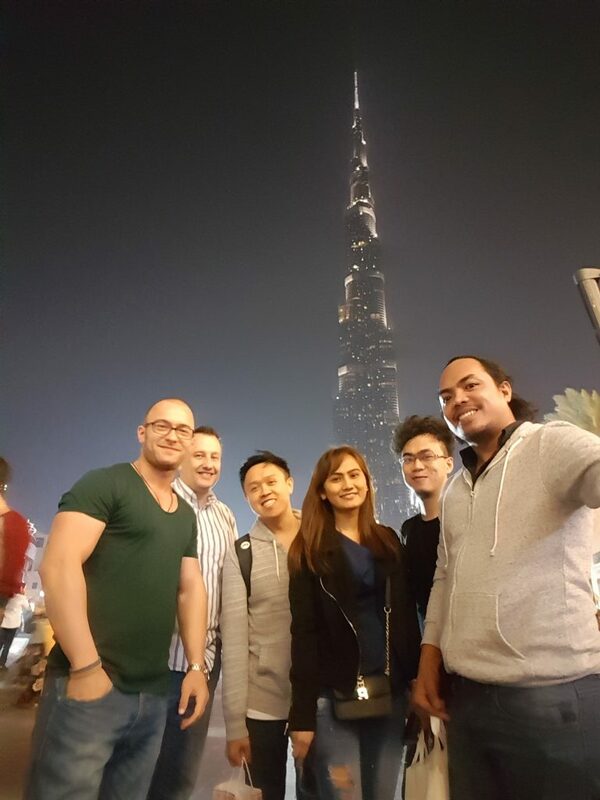 Some of the eLearnSecurity Dubai team greeted him at the Al Maktoum International Airport in the southern part of the city. We kicked off his trip right away with a visit to the Souk Madinat Jumeirah, a luxury shopping, dining, and hotel complex designed to reflect the traditional marketplaces of ancient Arabia. Once we got Costin buzzed with coffee, we headed towards the heart of Downtown Dubai to check him into his 5-star Roda Murooj Hotel accommodation. Not long after that, we were geared up and ready for our long walk to The Dubai Mall – all-in-all a journey of roughly 3 minutes. Getting properly lost in and around the largest mall in the world is always expected, and that’s exactly what we did. 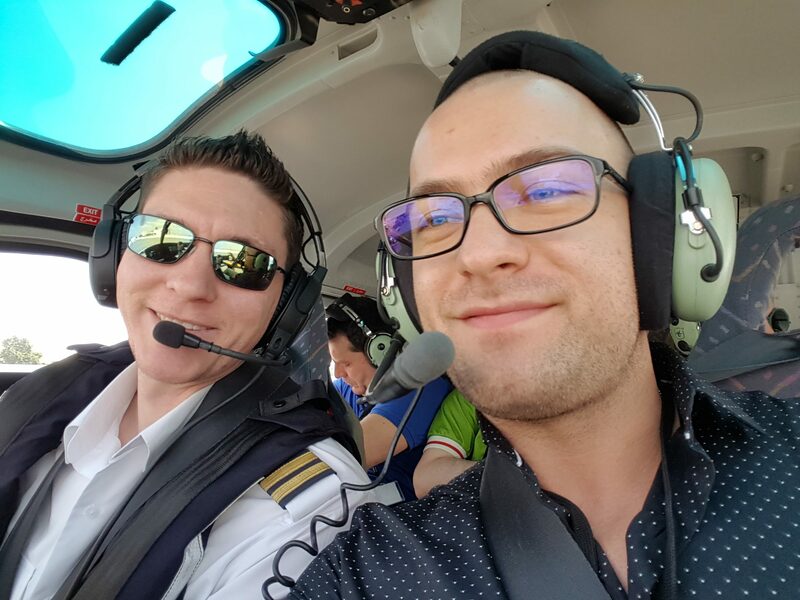 The second day’s activities were a bit more outdoors-y, starting with his helicopter trip around the city to see from above the infamous Palm Islands, and of course, get an aerial view of Dubai’s skyscraper-adorned skyline. To the relief of someone who’s used to below-zero temperatures, we took Costin down to the beach to get refreshed by the cool summer breeze. We also got to see where some of the Dubai elite keep their million-dirham toys at the Dubai Marina. After a quick dip in the water, we got our wet selves inside the Dubai Tram and Metro to end the day inside the largest (when visiting Dubai, you’d find that the suffix -est is a recurring theme in the city) suspended aquarium on Earth. Costin was mostly on his own on day 3, and spent the day exploring the many other sights and sounds that were not covered in his itinerary. 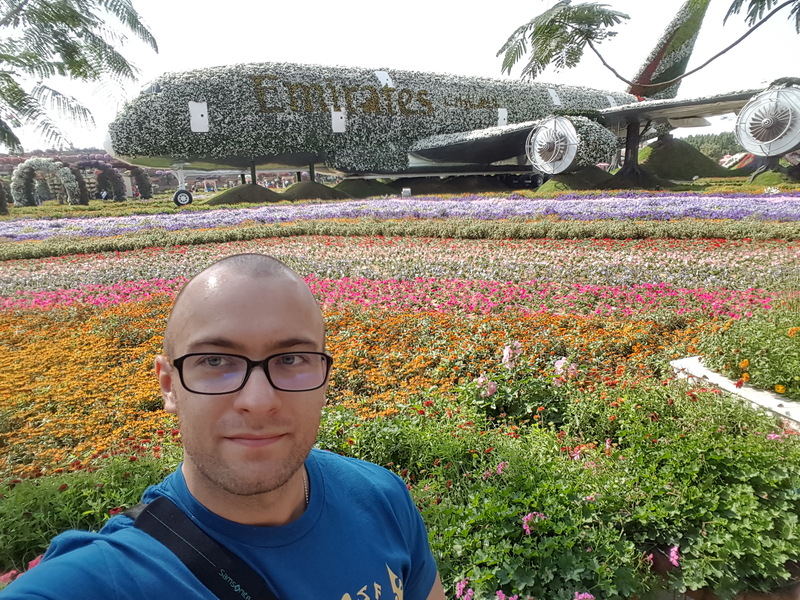 He spent most of the day in one of Dubai’s mini-miracles: a mega-garden in the middle of the desert – the Dubai Miracle Garden. 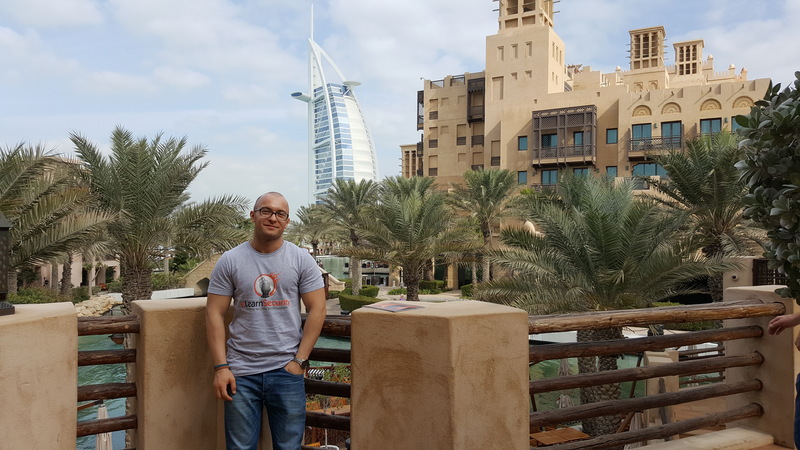 After working up an appetite strolling around the city, it was time to prepare for – in his words, “the most exciting part” of the trip – his meeting with eLearnSecurity Founder and CEO Armando Romeo inside the world’s most luxurious hotel, the Burj Al Arab. Costin came locked and loaded, and was ready to fire away a few questions for Armando over dinner and drinks. The trip would not be complete without an ascent to the world’s tallest structure, Burj Khalifa – the iconic skyscraper that towers over all of Dubai – where Costin enjoyed breathtaking 360-degree views of the city. 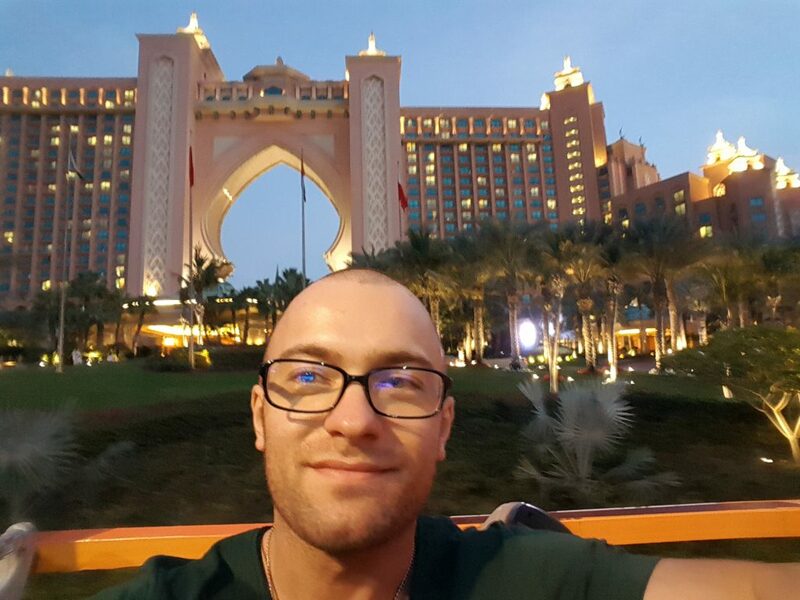 Before he concludes his short vacation, we wanted Costin to see as much of Dubai as he can (while also making it as touristy as possible!) 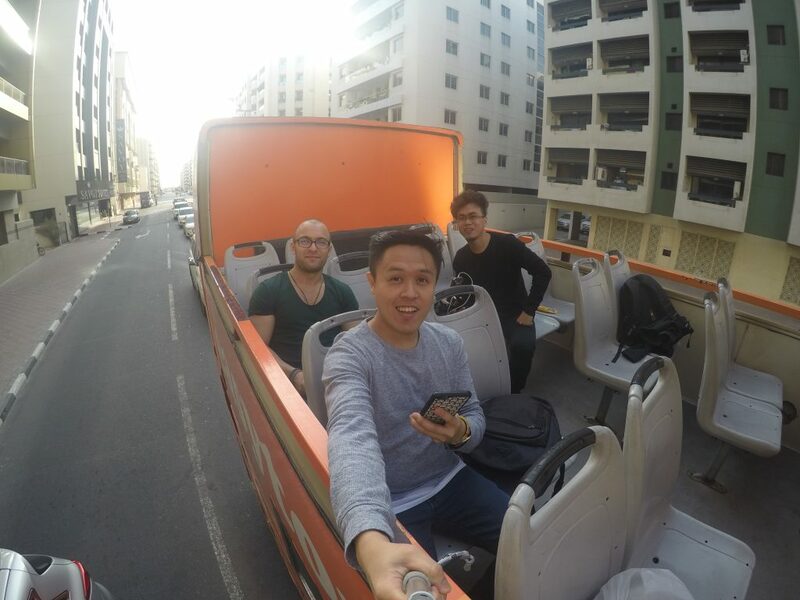 by getting a guided bus tour around the city. Hopping on and off an open top double-decker bus, we were transported from the traditional villages of Old Dubai all the way to the ultra-modern hotel, Atlantis, at the man-made islands of Palm Jumeirah. 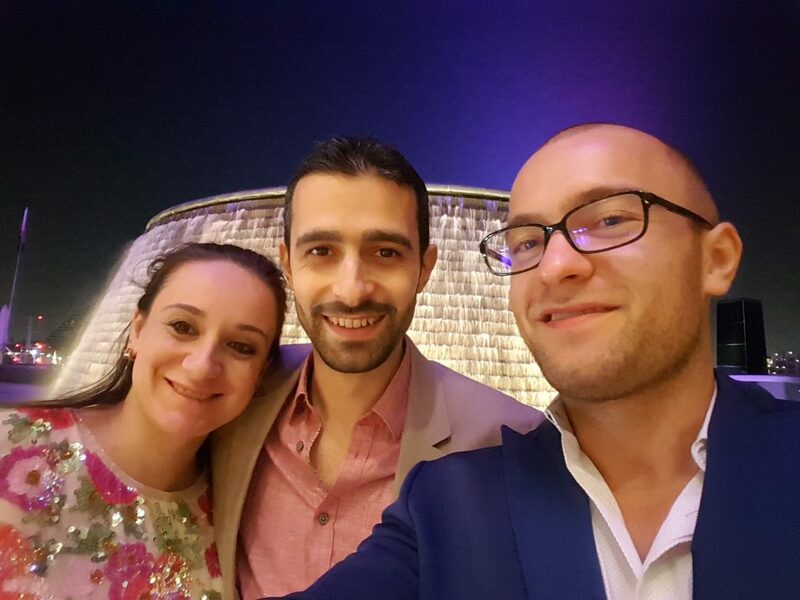 The bus tour ended, where else but at The Dubai Mall, where we capped off the night hanging out by The Dubai Fountain – the largest choreographed fountain show in the world. A few hours later, Costin was on his way back to the airport to catch his flight home. His four-day adventure has come to an end; and with that, MISSION: Dubai comes to a close. There are bound to be more MISSIONS ahead, and you could be the next winner! All you have to do is to follow us on social media to make sure that you don’t miss the next mission briefing.